Today we are featuring Tony Miller, co-designer of Fire in the Library. Tony lives in Tigard, Oregon with his lovely wife, amazing son, and 3 ungrateful cats. 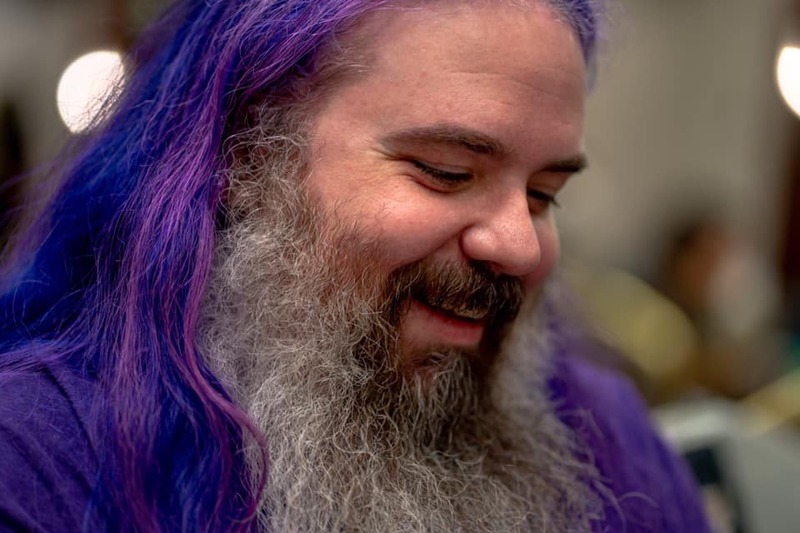 When he is not designing games with his incredible co-designer John Prather (@angrytetris), he is busy helping host the Breaking into Board Games podcast (@breakingintobg), attending conventions, watching professional wrestling, or putting out fires in his day job as a Network Analyst. 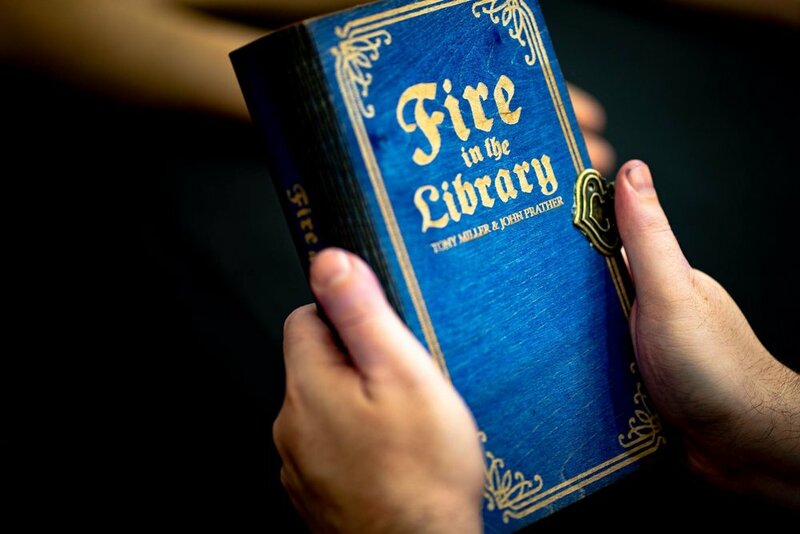 His first published game, Fire in the Library from Weird Giraffe Games (@weirdgiraffes), has recently shipped to backers and he hopes to be following it up with additional titles in the future. Tony is an amazingly positive force within the industry, who is incredibly kind, and welcoming who gives fierce hugs. We are so excited that he will be joining us at #SGS19 to show off his games. Questions by Kimberly Revia (KR), answers by Tony Miller (TM). KR: When did you start designing games? TM: I started designing games about 8 years ago after going to a playtest event in Cincinnati. 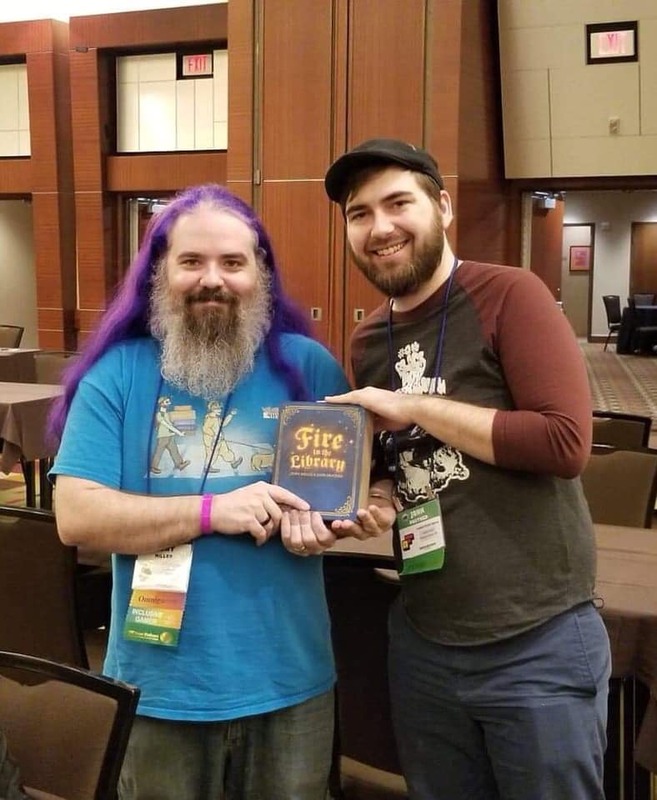 It started slow at first with some designs that only my friends and family played, but after attending my first UnPub (Unpub5 and meeting John Prather in 2015, I jumped in with both feet. KR: What part of the design process is the most enjoyable for you? TM: I LOVE the initial brainstorming phase when the world is full of possibilities! Finding the perfect mechanisms to go with a theme and deciding on which components will help me convey the experience best is wonderful. It's like the mad science part of game design before the more organized engineering mindset sets in. KR: Where do you draw the most design inspiration from? TM: Most of my designs actually started as bits of pop culture that got stuck in my head & wouldn't leave. Fire in the Library came about due to a meme on Facebook, Back to Earth started due to a song that I couldn't get out of my head, and Stocko Trucks came from a quote that came out of the 2016 election cycle as examples. KR: If you could spend the day with one pro-wrestler, living or deceased, who would you choose? TM: I would have to say Chris Jericho. He's done pretty much everything that someone can do in the wrestling world. He's thrived in every major promotion that has existed since his career started, he is the lead singer in a rock band, he's written books, been on Dancing with the Stars, hosted game shows, and he has his very own cruise. His constant reinvention of himself and refusal to rest on his previous accomplishments is a huge inspiration to me and he seems like an awesome dude to boot! KR: What superpower would be the most appealing to you? TM: If I could have any superpower, it would have to be teleportation. I'd love to be able to travel long distances instantaneously so that I could hang out with all of my friends more often, see the world, and avoid all of the airplane fees associated with con travel. KR: What is your favorite part of attending conventions? TM: THE PEOPLE!!! Honestly, the board game community is the greatest group of human beings that I have ever been a part of and every time I go to a convention I get to add more people to my circle. My best friends in the world are all people that I have met through this hobby & every convention is like a family reunion that I actually want to attend! You can find Tony and what he is currently up to by following the links below! Photos courtesy of Kristi Weyland: @peacelovegames and Bebo: @bebothebold. Please be sure to check out their amazing photography on their Instagram pages!